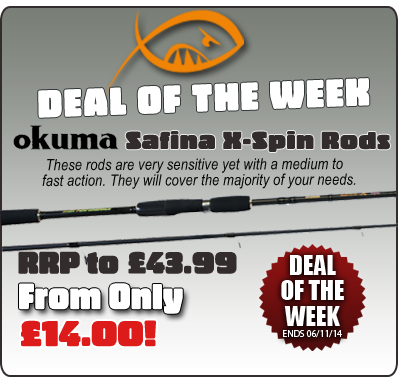 The Safina X-Spin is a new range from Okuma featuring Japanese design with a split handle. These rods are very sensitive, yet with a fast to medium action, they are perfect for general spinning in all European waters, both coast and lake/river. Featuring 24T carbon construction, screw down reel seat, X-wrap reinforcement and Titanium Oxide guide inserts and available in various lengths, the X-Spin is a very versatile rod. With very limited stock available, you don't want to miss out on this fantastic offer!